We love hosting craft parties with our best gal pals. 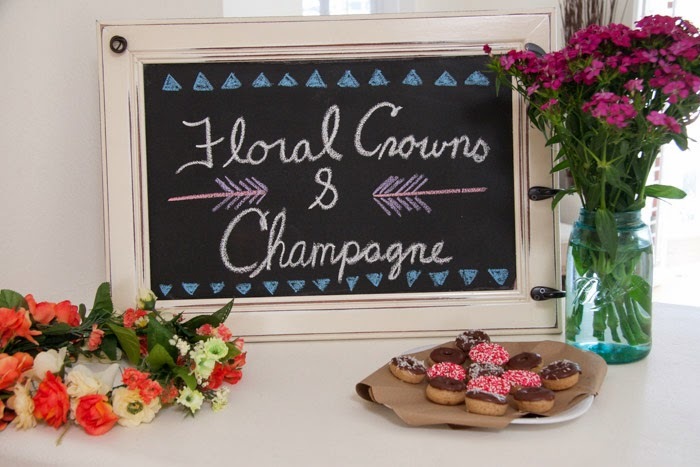 There's nothing better than spending an afternoon together, eating mini donuts, drinking champagne, and chatting about everything and anything while making something fun! 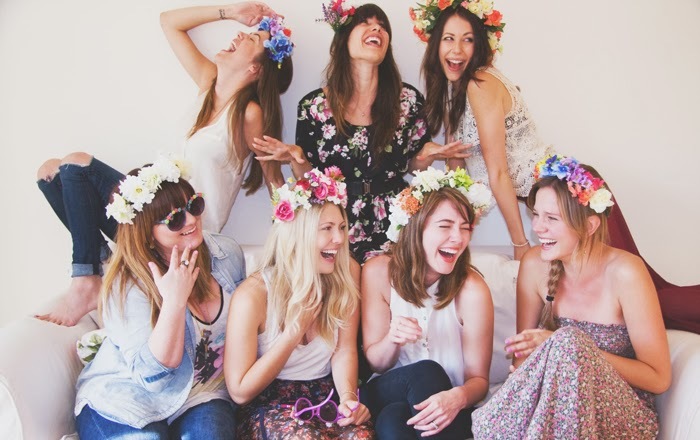 Naturally, making floral crowns was on the top of our list of craft party activities. 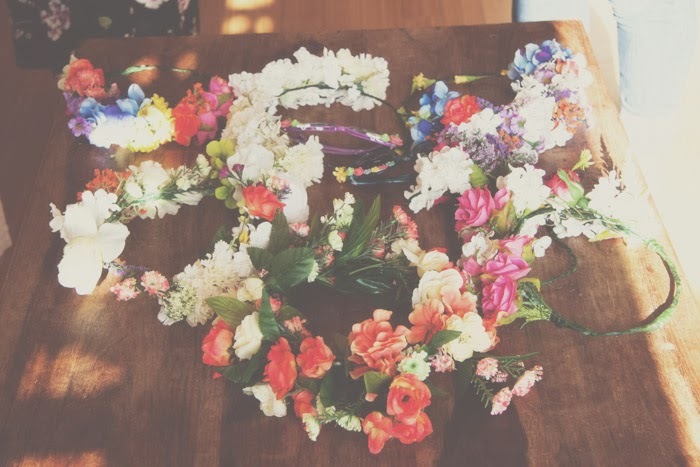 There are many techniques for making a floral crown so we thought we would share with you how we made ours. 1. 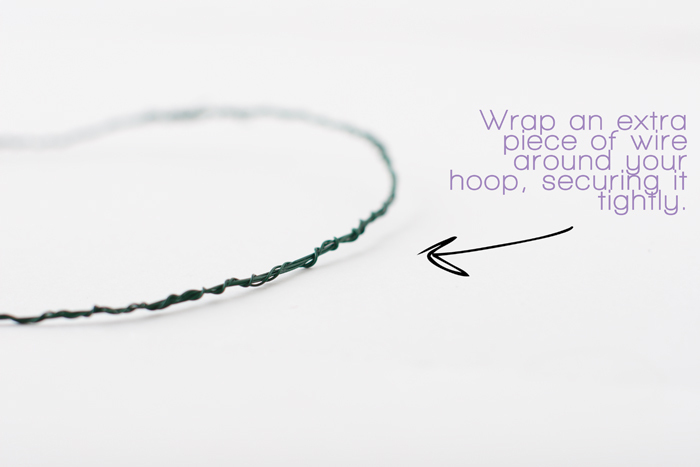 Wrap the floral wire around your head where you want it to sit and form a hoop. Wrap it around a few more times. Make sure to add a little bit of extra space (when you add the fake flowers it will cause the crown to sit more snugly on your head). 2. 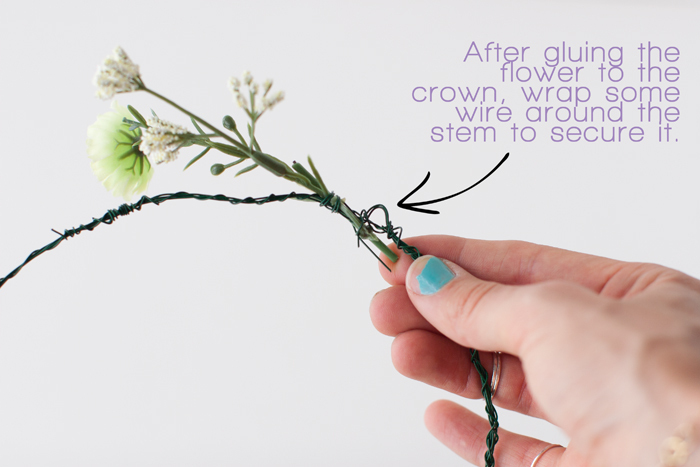 To make it super sturdy take an extra piece of floral wire and wrap it around the hoop. 3. 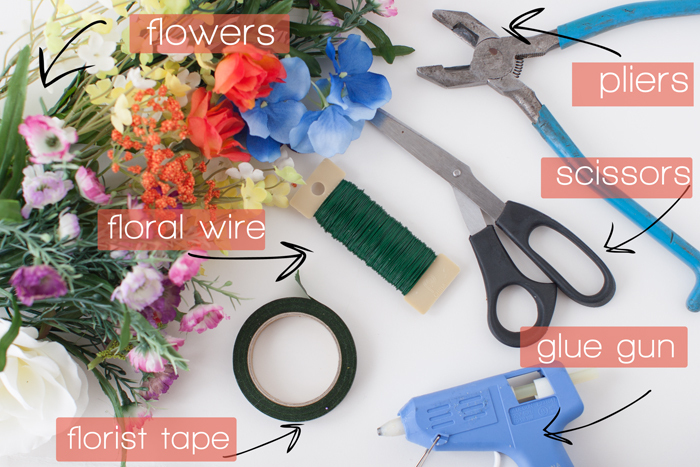 Cut the flowers you want to use for your crown using pliers leaving about 3 inches of a stem. 4. Take a flower and place it against the wire hoop in the direction that you like. 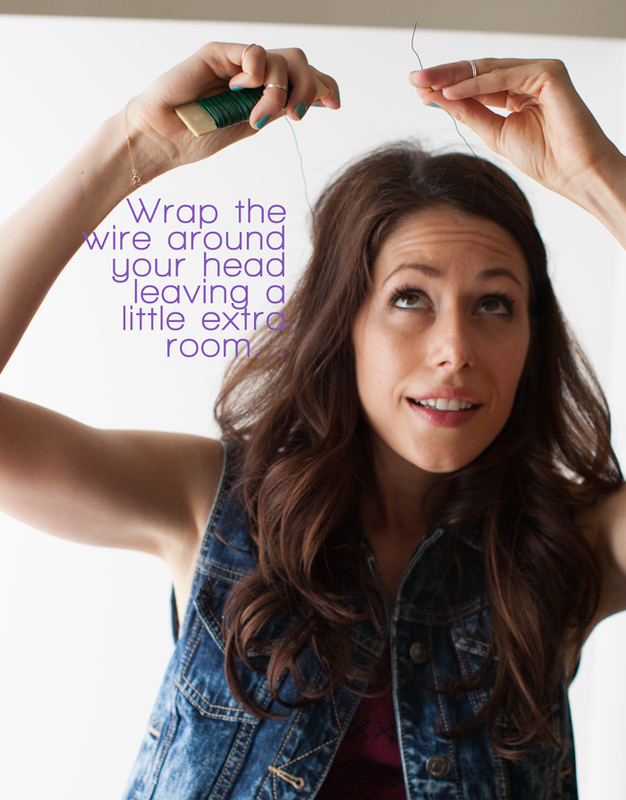 Secure it using your glue gun, holding it until it has dried. Another method is to wrap the stem with a separate piece of wire. Experiment with what works best for you. 5. 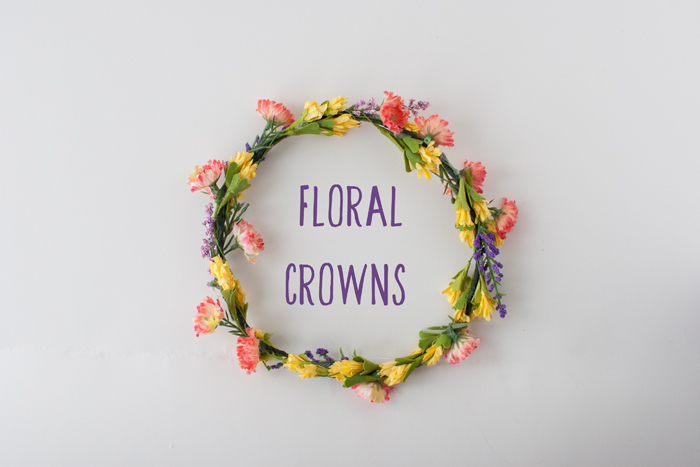 Repeat this with each flower until you have built a beautiful floral crown. Option: If you decide to not do your floral crown all the way around your head, you can leave the back part bare and cover it with the floral tape by wrapping it around the exposed parts. 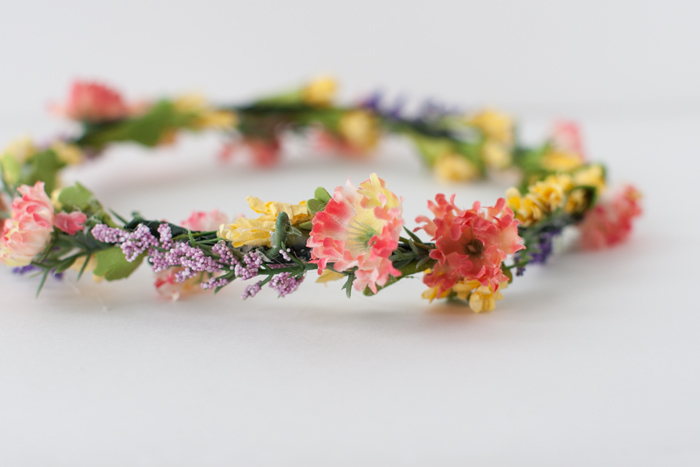 We hope you have as much fun as we did making these floral crowns. If you make one, share your pictures with us on twitter or instagram! We love seeing what you guys have created. so cool i love this!!! !